There are tricks to purchasing high quality toddler girls' winter clothing, and although none of these tricks are especially groundbreaking in their method, many parents overlook the need for planning ahead when they build their child's winter wardrobe. The fundamentals of toddler girls' winter clothing will vary depending on your climate. Typically winter gear for lighter climates includes one heavy coat or jacket, a windbreaker, rain boots, lined boots, socks, an assortment of sweaters and long pants such as corduroys and jeans. Harsher climates will necessitate thick coats, hats, gloves, scarves and items like earmuffs. Dressy clothes for either climate will typically focus on darker colors and thicker materials such as velvet and wool. The elements of toddler girls' winter dress clothes are far more nuanced than ordinary every day clothes, as party clothing often focuses less on practicality than it does on looks. This article will zoom in on every day basics that can be used as foundations for your toddler girls' winter wardrobe. Corduroy is soft, cute and oftentimes thick, which makes the material ideal for the fall and winter seasons. Corduroy is also a bit dressier than denim, and denim is so ubiquitous in the American wardrobe that corduroy pants and jumpers provide a nice break from your toddler's usual jeans. This material will keep your child warm; though when your child is small and in the potty training phase, you may want to look for corduroy pants that feature an elastic waistband rather than a button or snap closure. Few footwear items can compete against the winter practicality of the classic Ugg boot. If you live in a brutal winter climate, the design of the Ugg boot is ideal for keeping your toddler's feet warm during snow-filled seasons. These boots are made of sheepskin and are insulated to maintain your feet's warmth, even in subzero temperatures. You can purchase a special spray solution that will add waterproof properties to your Uggs. Perhaps the most attractive quality of the Ugg boot is its comfort. With or without socks, these boots give their wearers the illusion of walking on clouds. Since toddlers can have a difficult time maintaining their balance during their first years of walking, Uggs do nothing to deter their efforts. The only disadvantage of the popular Ugg boot involves the cost. Most parents simply cannot afford a price tag of one hundred plus dollars for an item that will fit your child through one season. Several Ugg knock-offs are sold throughout the country, which can provide parents with more options, though most of these copy-items do not boast the insulation of the original Ugg. Although such items are only coveted for the most severe climates, trapper hats are valuable because they combine the design elements of hats and earmuffs. Accessories like earmuffs are easily lost by small children once they are removed. A trapper hat is a hat which provides ear coverage. When lined with fur or some other sort of insulating material, these hats will protect your toddler from icy cold weather and the wind chill factor. Many parents love the simplicity and easily-cleanable nature of Crocs footwear. Children adore the colorful designs and comfort of these clogs. For mild winter climate, each season Crocs produces a collection of fleece-lined clogs that update the usual summer design for the cold. Occasionally these fleece-lined items are crafted into festive animals that kids are bound to enjoy. Most department stores will stock items appropriate for your particular climate. Trapper hats may be rare in the Southwest or equatorial climates, but the ease of online shopping has opened a world of options to the savvy parent. 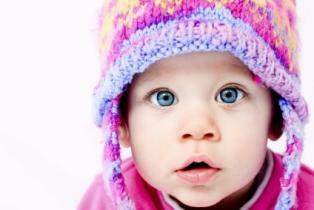 Janie and Jack is also an excellent place to shop for toddler's winter accessories such as scarves, hats and earmuffs. Ugg boots can be bought online but are also very prominent in upscale department stores like Nordstrom, Saks and Neiman Marcus.